We love making this dish, it tastes amazing with different textures and flavours, you can change the recipe to make it unique to yourself. The idea came from a Jamie Oliver's restaurant; they served which looked like deep fried ravioli with a lovely spicy tomato sauce. This is recipe could be served as a starter or, if you make them big enough, as a main. We cook this for friends and family when they come over and they absolutely love this dish. So please share it with your friends and family. In a medium saucepan preheat 2 tablespoons of olive oil. Add finely chopped onion and cook until soft, about 8 minutes. Stir until the rice is well-coated with olive oil and it begins to turn whiter, 2-3 minutes. Then add 1 cup of stock every 1 minute. You have to stir your risotto pretty often. Cook for additional 10-15 minutes or until al dente, add butter. Add grated Parmesan and stir. Remove saucepan from the heat and cover with a lid. Let to stand for 2-3 min. In another saucepan preheat 2 tablespoons of olive oil. Add minced garlic and fry for 15 seconds. Add tomatoes and basil; cook until tomatoes are very tender, season to taste. Cooking the packet risotto takes 3-5 mins, we want most of the moisture to be evaporated and you will notice the risotto getting stickier. last with bread crumbs, add in the Italian herbs, 1/2 cup of parmesan and crushed dried chilli flakes (all to taste), mix well. 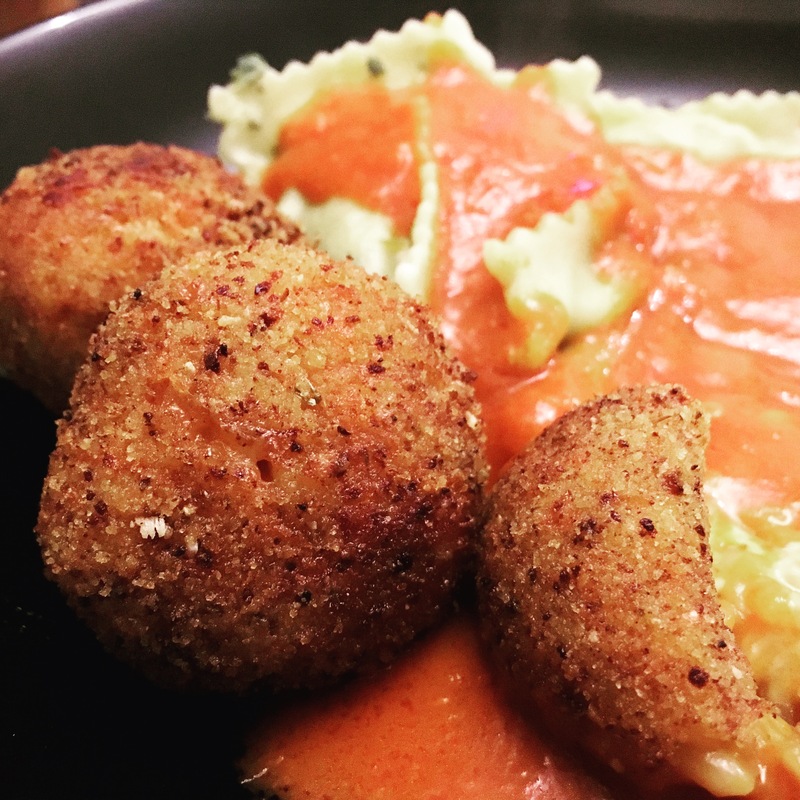 We love making these risotto mozzarella balls, it tastes amazing with different textures and flavours, you can change the recipe to make it unique to yourself. The idea came from a Jamie Oliver’s restaurant; they served which looked like deep fried ravioli with a lovely spicy tomato sauce.